01182013_Becherer_IraqMedical008: Doctors of War: Casualties of War: Global News Portfolio: New Orleans based Photojournalist covering the Deep South and beyond. 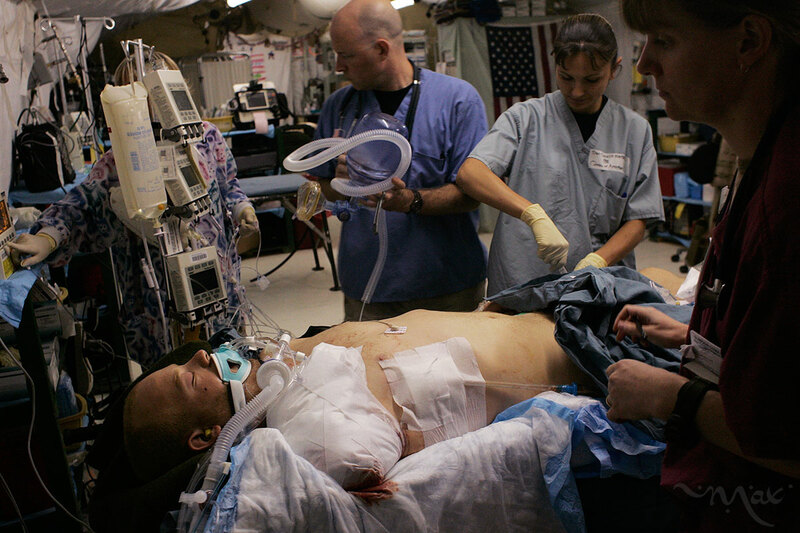 Doctors and nurses of the Air Force Theater Hospital treat Lance Corporal Beyers who was injured by an improvised explosive device that injured him and six other Marines with the 3rd Battalion, 25th Marine Regiment in Hit, Iraq on Friday, August 26. Lance Corporal Beyers lost his right arm and half of his right leg in the attack.